Aline Smithson is a photographic artist, educator, and the founder and editor in chief of LENSCRATCH. 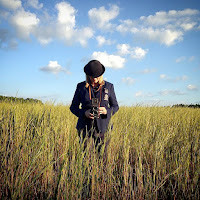 As an editor, she has spotlighted the work of thousands of photographers over the last ten years; as an artist, Aline has had over 40 solo exhibitions and has been published in The New York Times, PDN, The New Yorker, Communication Arts, and Eyemazing magazines, among others. In 2015, the Magenta Foundation published a retrospective monograph of her portraits, Self & Others: Portrait as Autobiography. In 2016, the Smithsonian Air and Space Museum commissioned Aline to create a series of portraits for the upcoming Faces of Our Planet Exhibition. Aline lives and works in Los Angeles. By Amani Willett. Overlapse, 2017. It's incredibly difficult to speak to a Best Book, but I am a longtime fan of how Amani Willett tells stories. 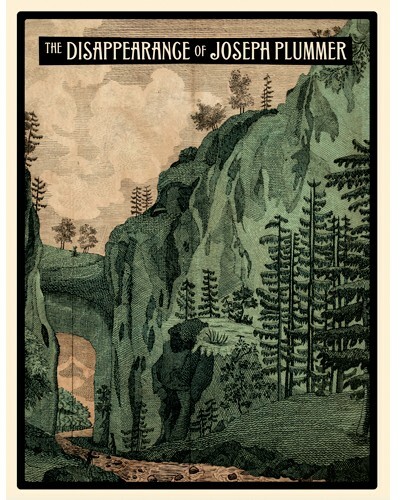 His earlier monograph, Disquiet, has stayed with me over the years so I was intrigued by his latest offering, The Disappearance of Joseph Plummer. From the tree branch endpapers, the reader enters unfamiliar territory of that space between truth and fiction, between David Lynch and John Ford, where history is subjective and things go bump in the night. 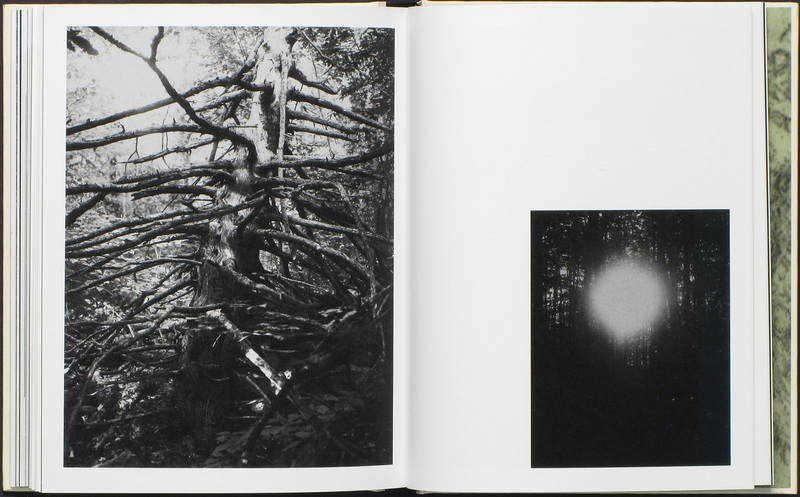 Willett uses the dark woods, redacted text, ephemera and old photographs to create a narrative focusing a hermit who, 200 years ago, lived on land that Willett’s family now owns in central New Hampshire. Presented as surreal and cinematic storytelling, The Disappearance of Joseph Plummer is the perfect combination of nightmares and daydreams, beautifully mysterious and intriguing, in the style of all good novels. The Disappearance of Joseph Plummer By Amani Willett. Overlapse, 2017. Simon Roberts, and Zhang Xiao. Lars Müller, 2017. 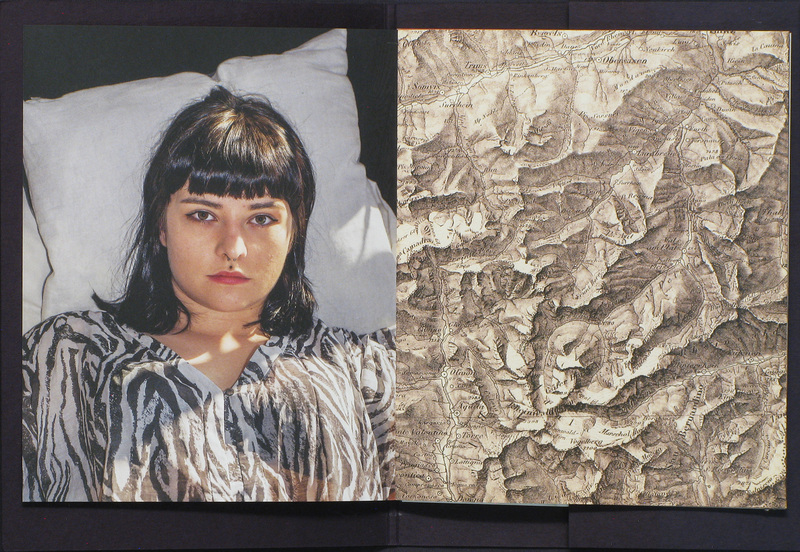 Photographs by Alinka Echeverría, Shane Lavalette, Eva Leitolf, Simon Roberts, and Zhang Xiao. 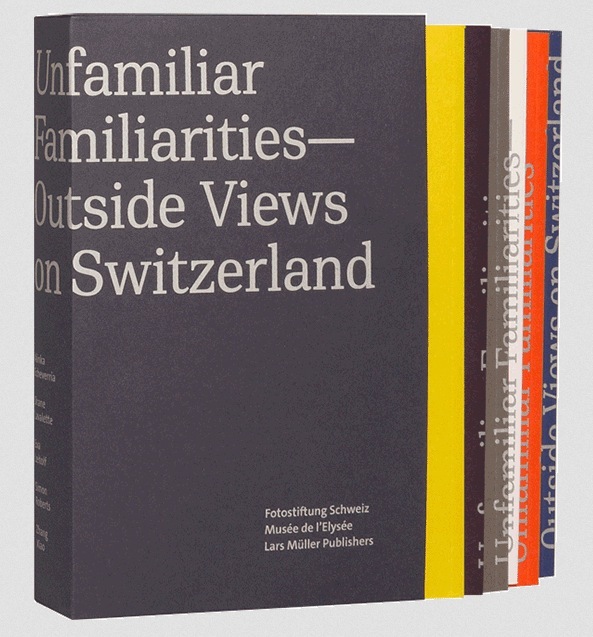 Unfamiliar Familiarites: Outside Views on Switzerland is a six-book collection of work made in Switzerland featuring four photographic projects by Alinka Echeverría (Mexico/UK), Shane Lavalette (USA), Eva Leitolf (Germany), Simon Roberts (UK) and Zhang Xiao (China). The four photography books accompanied by two journals of text. The six same sized volumes have unique constructions that reflect the work and the individual approaches. I only know Switzerland from postcards and train rides through the Alps, so these varied points of view have shifted my perception of place. By Alinka Echeverría, Shane Lavalette, Eva Leitolf, Simon Roberts, and Zhang Xiao. Lars Müller, 2017. Front Towards Enemy By Louie Palu. Louie Palu is a rare combination of artist and war photographer, able to stand present for horrific human events and then synthesize those moments into something artful, poetic, and powerful. 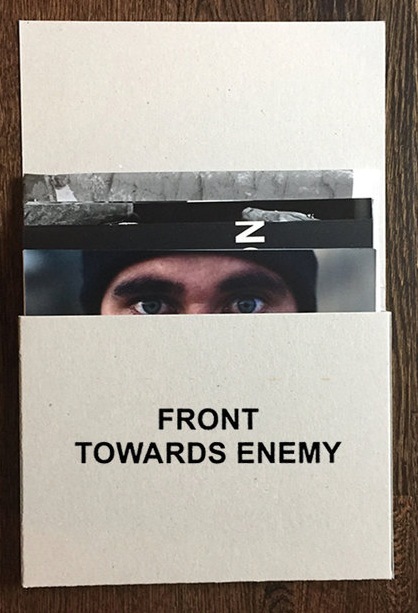 Front Towards Enemy is a remarkable artful compilation of the effects of war, presented as a deconstructed photobook showcasing the different ways that Louie documented the war in Afghanistan over the course of five years. 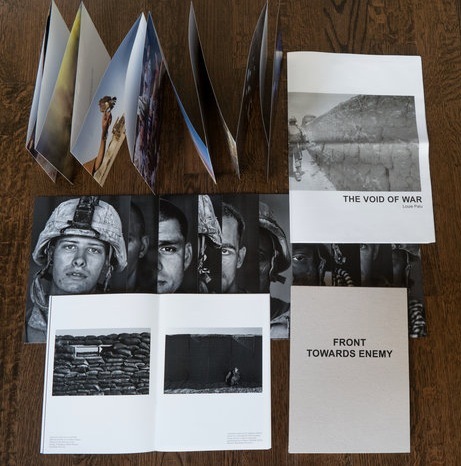 It comes in a cardboard slipcase with four components: an accordion fold image set, soldier portrait cards, a newsprint publication, and a staple-bound zine. The entire publication can also exist as a pop-up exhibition — a unique and smart approach to sharing photographs that work on the page and on the wall. Front Towards Enemy By Louie Palu. Yoffy Press, 2017.